Researchers from the University of Cambridge and the United States have used theoretical and experimental techniques to demonstrate how bismuth – the so-called “green element” which can be found right next to lead on the periodic table - could be used in low-cost solar cells. Their results, reported in the Advanced Materials journal, indicate that solar cells integrating bismuth can imitate the properties that enable the excellent properties of lead-based solar cells, but without the same toxicity issues. Subsequent calculations by another research team revealed that bismuth-based cells can convert light into energy at efficiencies up to 22%, which is comparable to the most advanced solar cells presently in the market. The solar cells that can be seen covering rooftops and fields are made from silicon. 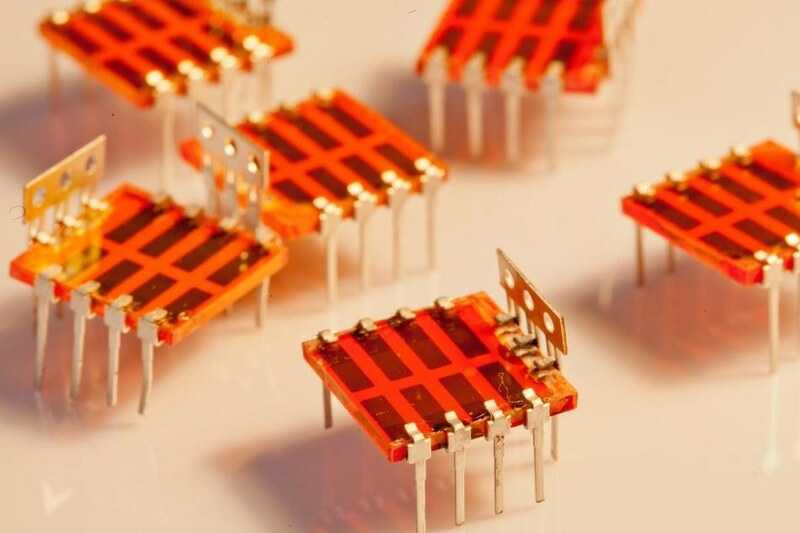 Although silicon is very efficient at converting light into energy, it has a very limited “defect tolerance”, meaning that the silicon needs to have extremely high levels of purity, making it energy intensive to manufacture. Over the last several years, Researchers have been looking for materials which can perform at comparable or better levels to silicon, and at the same time not require such high purity levels, thereby making them cheaper to create. The most promising group of these new materials are known as hybrid lead halide perovskites, which seem to promise a transformation in the field of solar energy. In addition to being economical and easy to create, perovskite solar cells have, in a short span of a few years, become nearly as energy efficient as silicon. However, despite their huge potential, perovskite solar cells are also slightly controversial within the scientific community, since lead is central to their chemical structure. Whether the lead found within perovskite solar cells embodies a real risk to animals, humans and the environment is being debated. However, some Researchers are currently searching for non-toxic materials which could switch the lead in perovskite solar cells without negatively impacting performance. We wanted to find out why defects don’t appear to affect the performance of lead-halide perovskite solar cells as much as they would in other materials. If we can figure out what’s special about them, then perhaps we can replicate their properties using non-toxic materials. In partnership with colleagues at MIT, the National Renewable Energy Laboratory and Colorado School of Mines in the U.S., the Cambridge Researchers have demonstrated that bismuth could be a non-toxic substitute to lead for use in next-generation solar cells. Bismuth is extensively used in personal care products, cosmetics and medicines. Similar to lead, it is a heavy metal, but it is non-toxic. For this research, Hoye and his colleagues studied bismuth oxyiodide, a material which was formerly investigated for application in solar cells and water splitting, but was not thought to be appropriate because of low efficiencies and because it tarnished in liquid electrolytes. The Researchers used theoretical and experimental techniques to re-examine this material for potential use in solid-state solar cells. They discovered that bismuth oxyiodide is as tolerant to defects as lead halide perovskites. Bismuth oxyiodide is also unchanging in air for 197 days at best, which is a great improvement over certain lead halide perovskite compounds. By placing the bismuth oxyiodide light absorber between two oxide electrodes, they were able to display a record performance, with the device managing to convert 80% of light into electrical charge. The bismuth-based devices can be made using regular industrial methods, signifying that they can be manufactured at scale and at minimum cost. Bismuth oxyiodide has all the right physical property attributes for new, highly efficient light absorbers. I first thought of this compound around five years ago, but it took the highly specialised experimental and theoretical skills of a large team for us to prove that this material has real practical potential. Previously, the global solar cell research community has been searching for non-toxic materials that replicate the defect tolerance of the perovskites, but without much success in terms of photovoltaic performance. When I saw this work, my team calculated based on the optical properties that bismuth oxyiodide has a theoretical limit of 22% efficiency, which is comparable to silicon and the best perovskite solar cells. There’s a lot more we could get from this material by building off this team’s work.